On my recent Indochina backpacking trip, I wanted to make sure that my dad was gonna have a good time. I wanted to get some thing “standard” that would give my dad somewhat a vacation feel. Staying away from my usual hostel accommodation, I booked private rooms for us. I had a few criteria for a good accommodation. I need it to be clean of course. My major pet peeve is a dirty bathroom. I hate bathrooms that smell like a public toilet and has yellowish bowls. It doesn’t have to be big, it just need to have hot and cold water and like I said a clean bowl. It has to have a pool. I wanted to make sure that there’s somewhere we can hangout when we are just too lazy to go out. Some may say that it is totally unnecessary, but traveling longer than many (at least for Filipinos) made me change my mind. There are times when you just have to slow down when you start feeling that your trip is become like a race. Some may want an awesome view at a high floor or a really good room in an expensive hotel, but for me I just need to see a pool within reach. It also needs to have a good internet access. Being a digital nomad has allowed me to travel with my family and still be able to work. Beautiful ain’t it? But it still has limitations. I can only go to places where the internet is good allowing me to connect to my files and work load. Reading from the reviews on my favorite booking website, I find that there are some that says the internet was good and did not find any bad comments. That was good enough for me. Here are some of the speed tests I did around the hostel. Unfortunately, this didn’t hold true with the connection in our room. 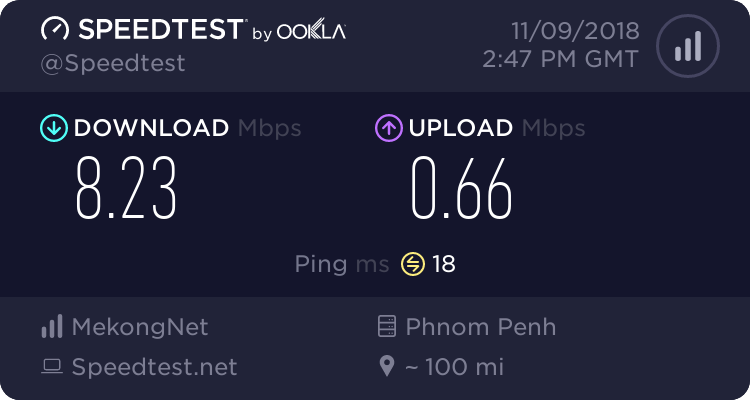 I had a hard time connecting to the internet and actual have some work done. 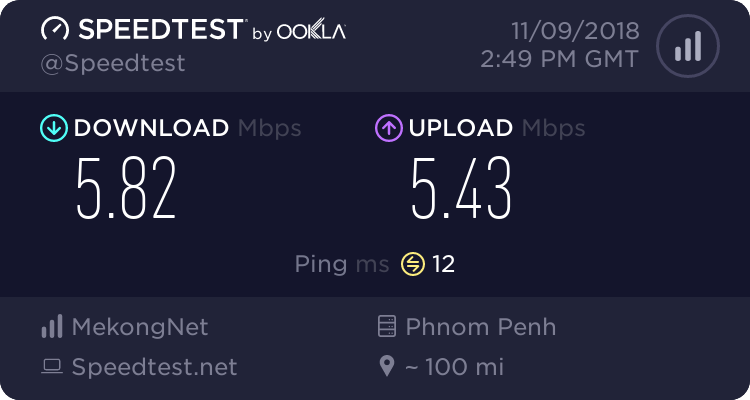 Good thing I have a local sim that gave me enough bandwidth for my work. If you’ve been following my blog you know that I always look for the best priced accommodation. Not just some cheap room, I always look for value. I’d say that is what Siem Reap Pub Hostel does offer, good value with its accommodation. I scored 2 rooms for just $11 a night! Each room was equipped with air conditioning unit keeping us cool all day. 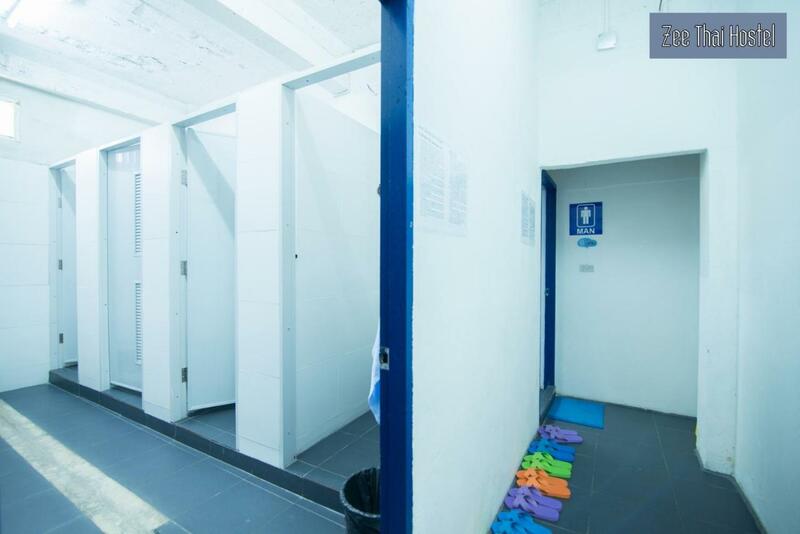 The bathrooms are also en-suite so there’s no need for you to share or wait for them to free up. Of course the best thing about having your own rooms is the privacy you get. I would have settled staying in a dorm room if I was alone. I’m just not sure though if they have a good place to work at if you are at the dorms. As far as private rooms though, most of them have tables you can work on. 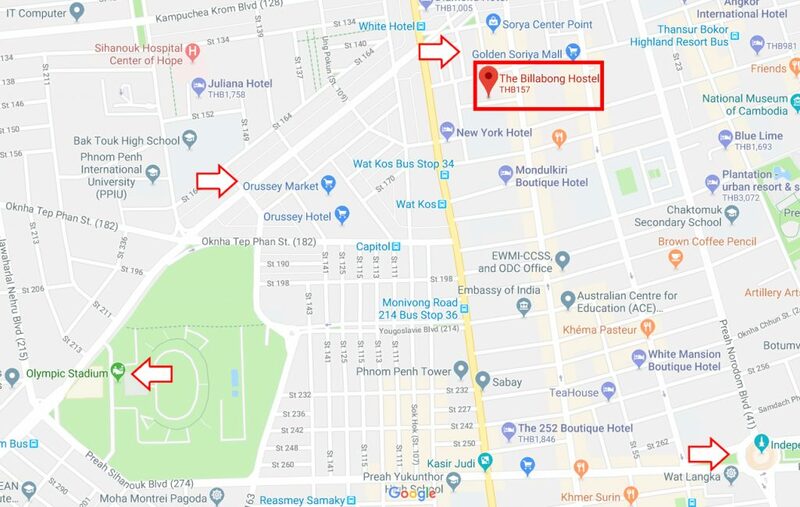 Siem Reap Pub Hostel’s location isn’t my favorite (full disclosure, I am biased for Sok San road) but it does locate you almost at the middle of everything. Market road is a few steps away while Sok San road where the cheap foods are is just a few minutes walk from the hostel. Also, you don’t have to worry about getting to the hostel when you arrive. The hostel provides free pickup from the bus stop (not sure about the airport though) going to the hostel. Would I? Yes! 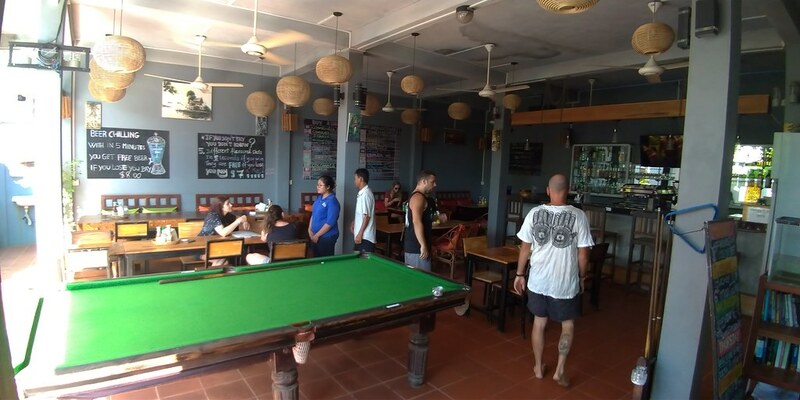 The value that Siem Reap Pub Hostel offers is incredible. 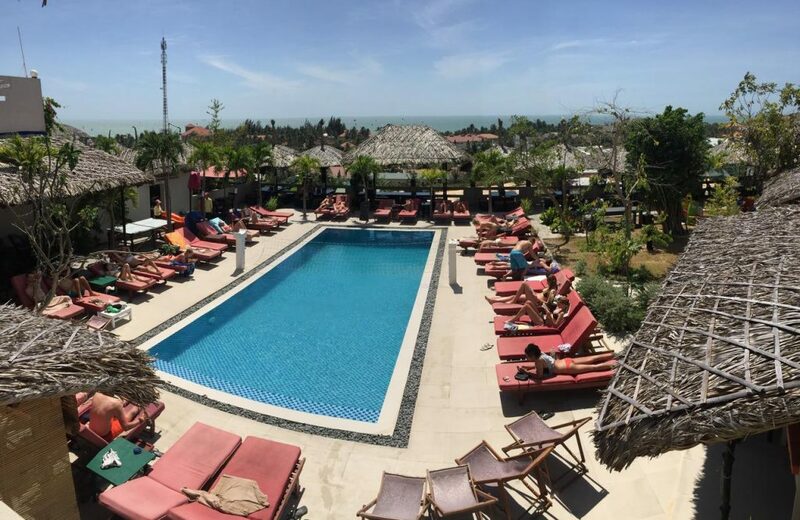 Free Pick up, swimming pool, good internet on some locations, location and the friendly staff are awesome. I couldn’t tell though if this is as social as it should be for solo travelers, I was traveling with family. 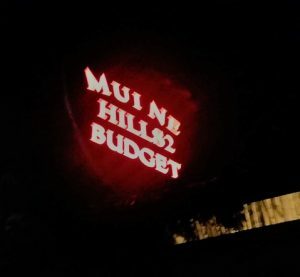 Mui Ne Hills Budget Hotel is situated at the hilly part central part of the Mui Ne beach area. The hotel as its name suggest offers very affordable accommodation. I got attracted to the three pools that they have. I got this notion that if a hostel can afford to maintain a good pool, it has got to be a good one as it takes a lot of effort. Being centrally located in the up and coming travel destination that is Taipei is a must when exploring the city. 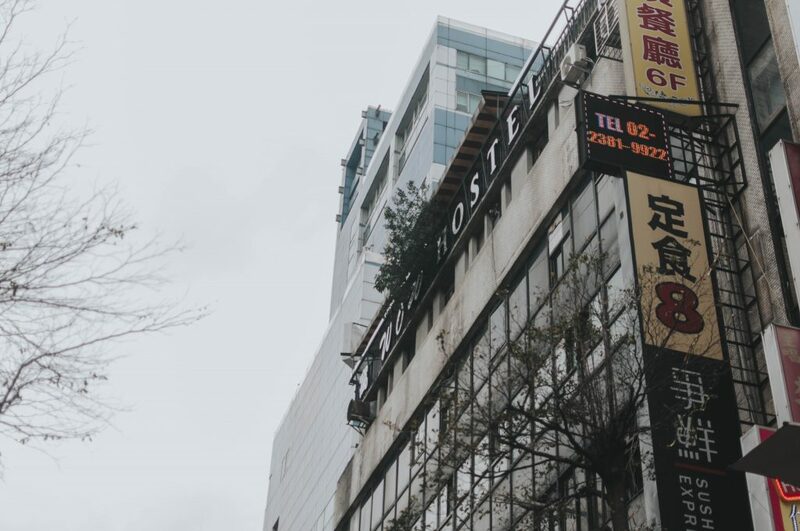 Fortunately, the Ximen district -Taipei’s heart – houses more than a handful of hostels and hotels that can fit most of your accommodation needs. Being my group of friend’s defacto organizer I began searching for a good hostel that would fit everyone’s wants while working on a budget. 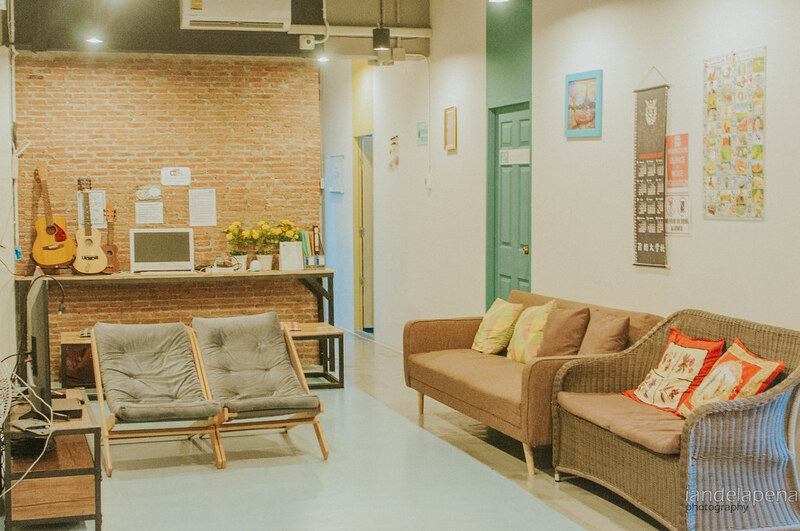 After adjusting my filters on my search in Booking.com I was so happy to find a property that met all of what I was looking for; Ximen Wow Hostel. We were on a 12 day backpacking trip of the Indochina region of Southeast Asia and a few of my friends went ahead to Thailand. They didn’t have the luxury of time. They were booked at the same hostel where the rest of us will be staying. But when they got to the hostel, they were quite disappointed with the accommodation. I got into panic mode and re-booked our group to a different hostel. wanting to stay near Khaosan road, to be just a stone throw away from the main attractions of the old city so we can just wander around saving us money. 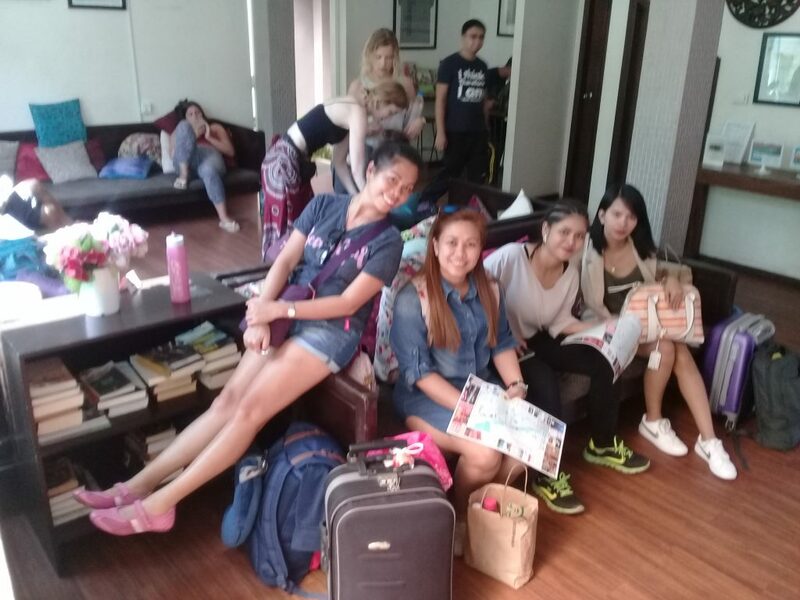 Though there are hundreds of hostels in and around Khaosan, I had a budget to work around and a level of comfort to provide for my friends -they aren’t really thrifty-stingy-backpackers like me. I scoured through the pages of online booking sites like Booking.com and Agoda. I sorted out options and trying out different types of accommodation just to keep the group together in one room. I kinda gave up and chose Zee Thai Hostel. According to the map, the hostel is almost 1k from the Khaosan area, it felt a bit too far. I thought that it far from the action in Khaosan road. I was wrong. Though the map tells me that it was almost a kilometer away, but the actual walk from the hostel didn’t feel like it. It was a leisurely 3-5 minute walk along the alleys of boutique hostels. Turns out that being tucked away from the noise of Khaosan became an advantage. The location also allowed us to hail taxis and tuktuks without worrying abut competing with other tourists. Every night there are also a lot of pop-up shops that sets up their stores in front of the hostel so food isn’t gonna be an issue if you’re lazy to go to Rambuttri alley. During day time there are barbecue shops around the area where we eat to our hearts content! price starts at 10-20 bhat a piece for grilled chicken. My friends definitely love the rooms. Each dorm bed had curtains that provides some privacy when you sleep. Each room has its own split type climate control, this was awesome for us since we rented the entire dorm room. They left the controls to us so we were able to adjust the temperature to a comfortable level. 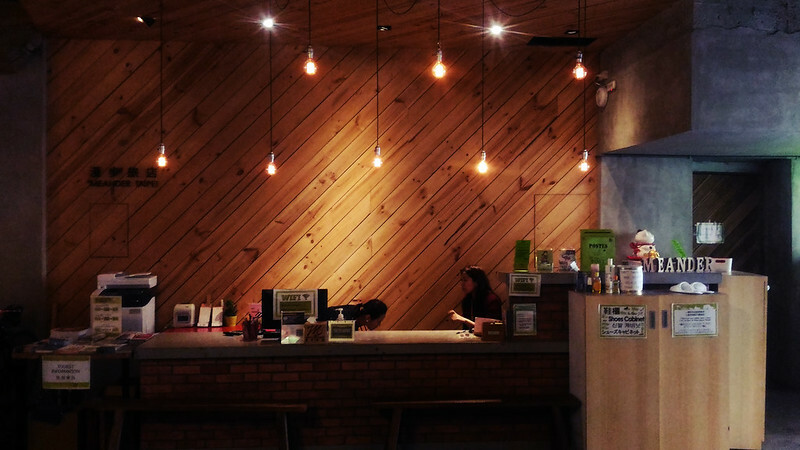 However if you are staying with other solo travelers, you can still request the front desk to adjust it for you. Our stay in Zee Thai Hostel was really comfortable. We would just hang out at the common area and watch cable TV or movies online on their massive smart TV during our free time. Other travelers take advantage of the free use the computer while some just play with the instruments around or read a book that is readily available from the shelves. One thing though that really convinced me that Zee Thai Hostel is one of, if not the best hostel near Khaosan; The washer! It was our group’s last day together -them going back to Manila and me staying behind for business. I had to decide whether I’d extend in Zee Thai Hostel or move on to a cheaper one. Then while hanging out on their roof deck a poster caught my attention. It said yes its free to use! Along with photos of hotel amenities including the clothes washer! Having clothes washed will cost you about $1-2 per kilo and if you have jackets and pants that would cost a lot! So I thought that instead of having my clothes done for me I’d rather stick to this nice hostel and wash my own clothes. I actually saved money by not moving to a cheaper hostel! 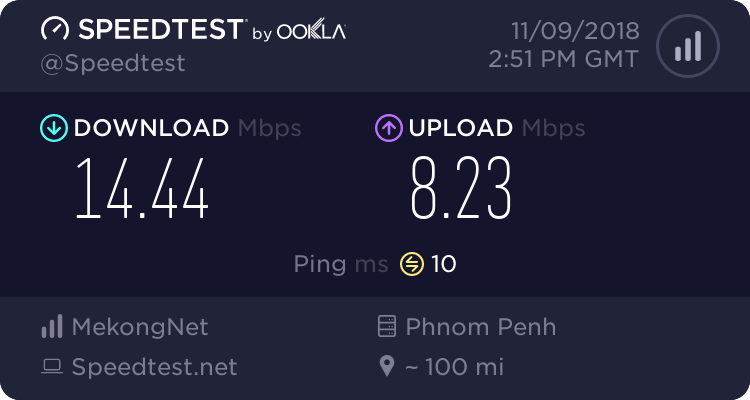 For digital nomads, the hostel’s internet connection is just awesome. We can download an entire album in just minutes on our phones! I was also able to upload photos from a recent wedding I covered in less than 15 minutes! 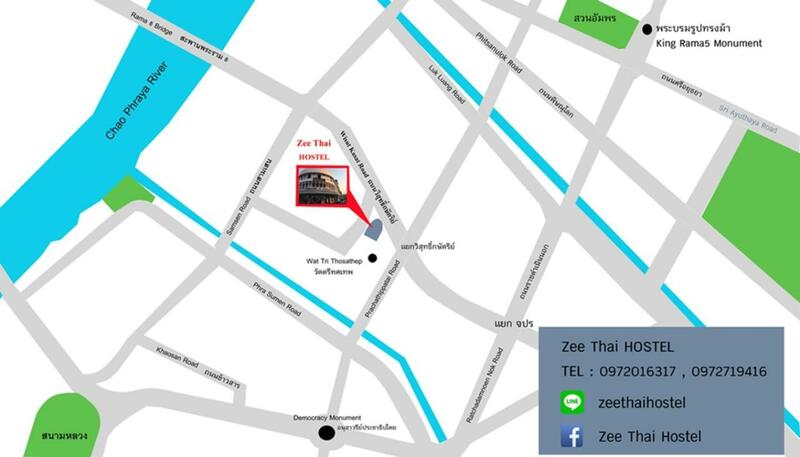 The Zee Thai Hostel offers different price ranges depending on what season, month and how long you will be staying. They offer good discount during lean season and extra discounts for people who will be staying long term in the hostel. We were able to secure our beds for about $8 a night. Being the one who booked for the group, I initially felt that it was a bit pricey. That notion though changed when we got to the hostel, The interior was so refreshing and the staff was just so warm in welcoming us. 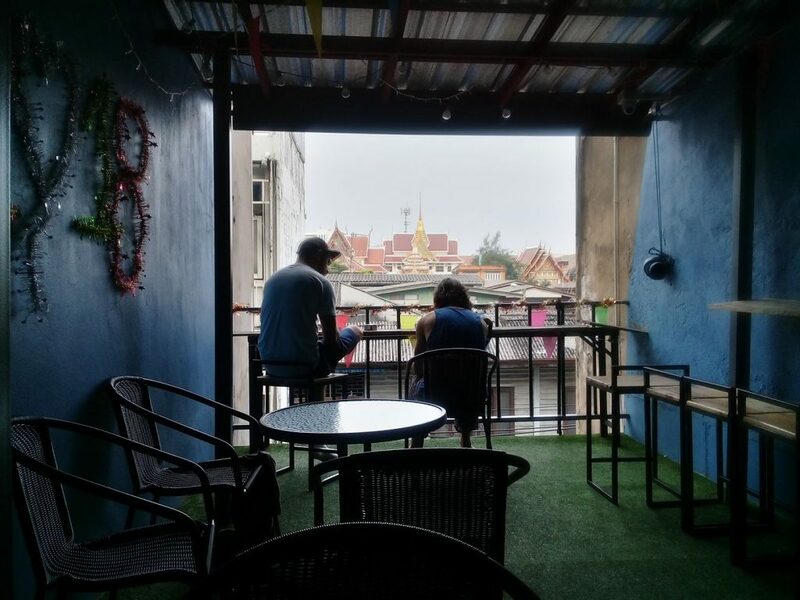 I’d say that the Zee Thai hostel is a great choice if you want to stay near Khaosan and still want to have some peace and quite when you retire for the day. 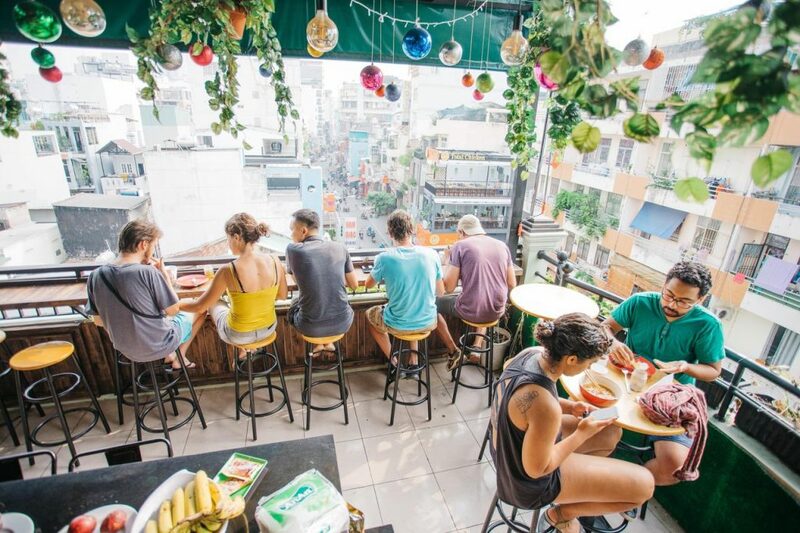 There can be other options that way cheaper than the Zee Thai Hostel if you are trying to slow down your spending – I use to stay in a $2 hostel. 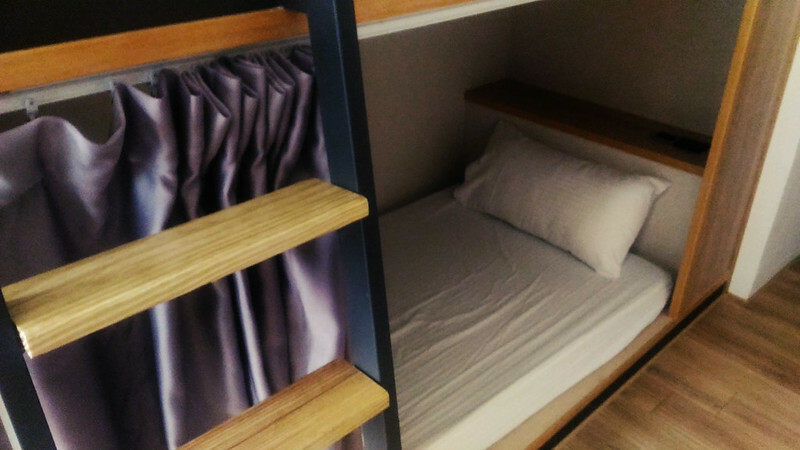 However, if you spending a few more dollars is not an issue, or if you are staying for a few days and you want to enjoy your trip without breaking the bank Zee Thai Hostel can be the best choice for you. Backpackers hanging out at the roof deck. Cambodia can be pretty awesome when it comes to accommodation and they can be pretty cheap if you know what and where to look for them. You might also be surprised on how epic they can be. 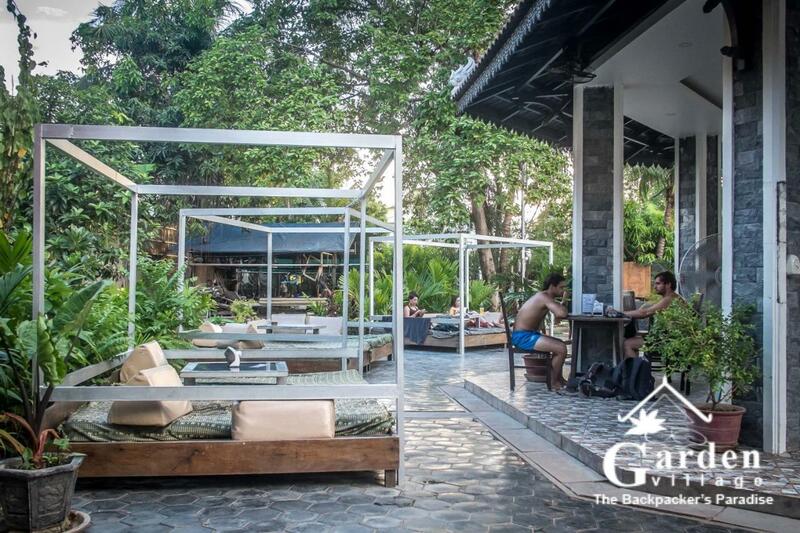 So on my first Indochina trip last year, I made sure to find the best hostel that I can and I think I found one of Siem Reap’s hidden gem of an accommodation The Garden Village Guesthouse and Pool Bar. 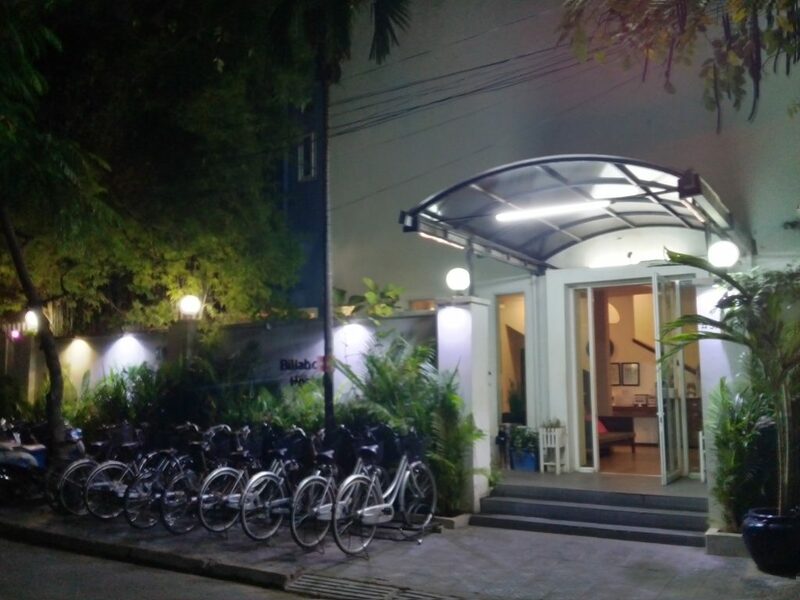 The hostel also has a 24 hour reception so anyone can check in at any time that they arrive in Siem Reap. They also offer free bus station and airport transfers! 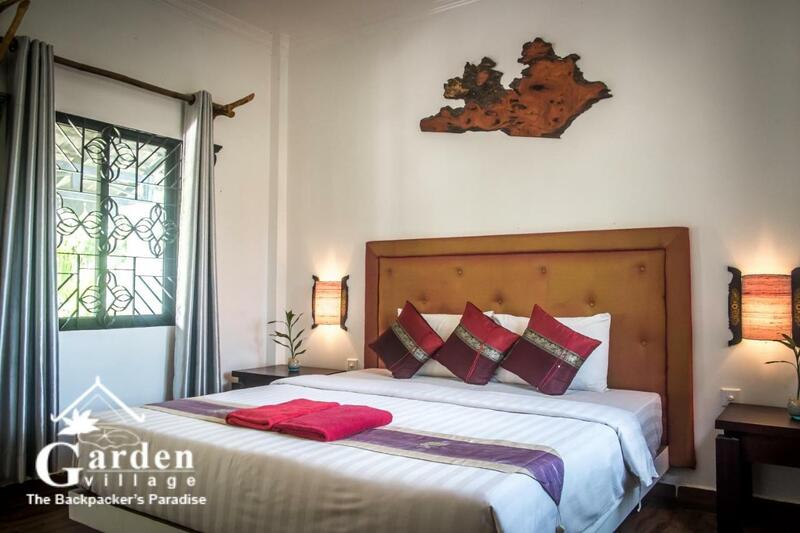 Most of the rooms are air conditioned so you don’t have to worry about melting under the Cambodian weather. 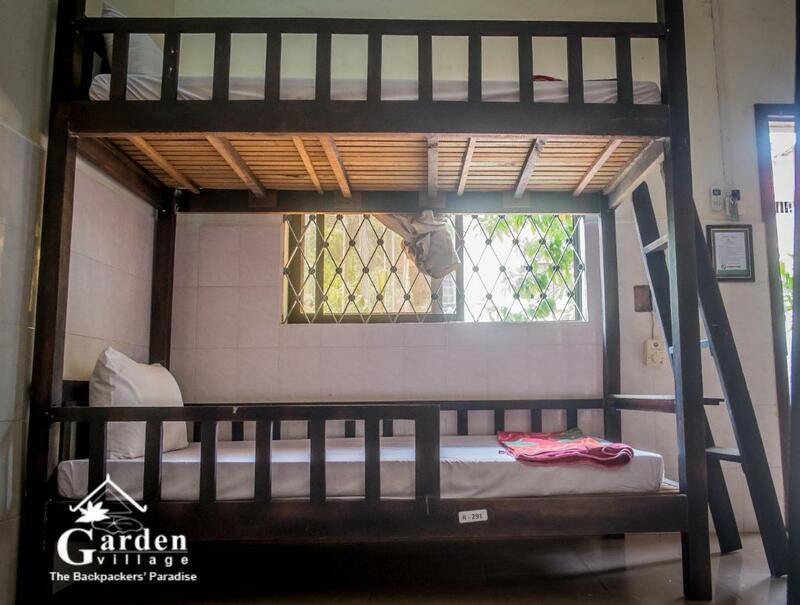 They are also cleaned every day by the hostel staff making sure that you are comfortable during your stay. The bed I had was in an 6 bed room (I don’t like big dorms) though they also have bigger dorms (16 and 8 bed dorms) that costs way lesser. If you are looking for some more privacy they also offer private rooms at a very affordable price. 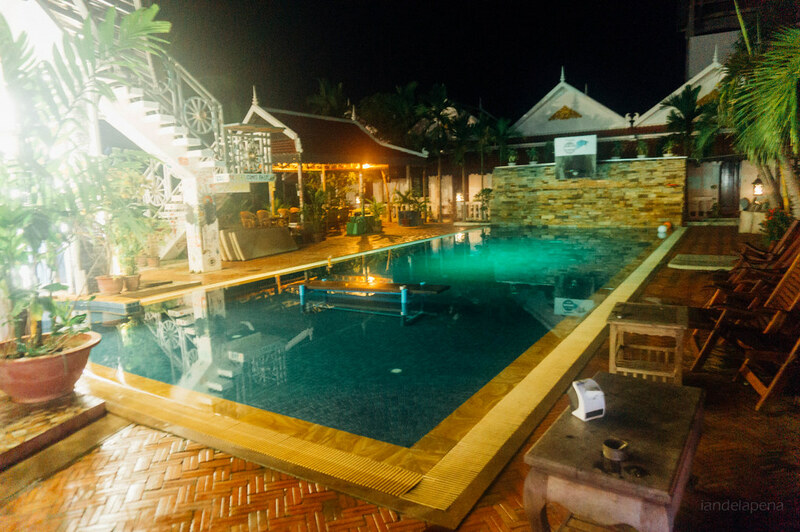 As the name suggests the hostel features a nice pool and a bar that comes alive at night with backpackers trying to have a great time. Drinks are also at a reasonable price and I’m pretty sure that you’ll have an epic night partying. 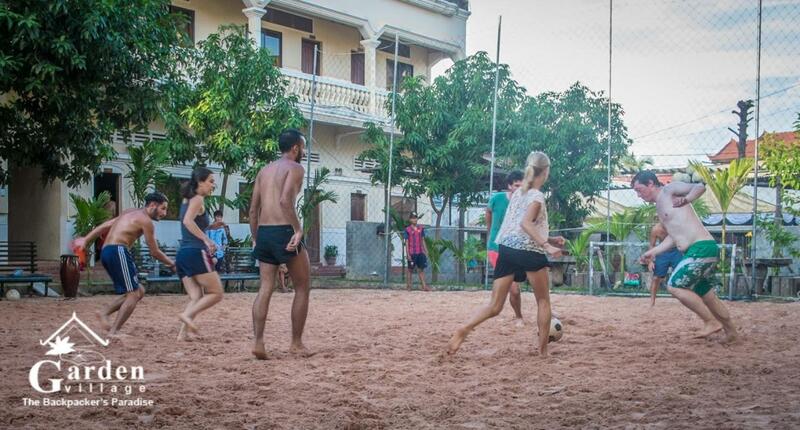 This Siem Reap hostel also has a nice soccer and beach volley ball court where you can play a good game with your new found friends. The best part that I love most about this hostel is that they have a 24 hour kitchen where you can order their awesome drip coffee at any time of the day, yeah coffee addict here. How much is their coffee you might ask? 1 freakin’ dollar! This Siem Reap hostel also amazes me of their service. 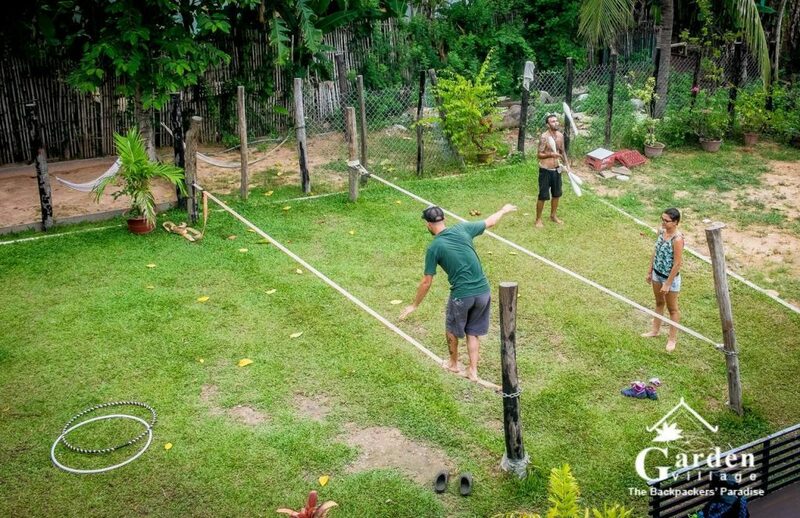 Hostels usually tend to be lean towards being self service, but the Garden Village Guesthouse and Pool bar has a ridiculous number of staff at any given time that are ready to assist you of anything that you need giving you some sort of Hotel vibe. They also have a concierge desk where you can book your bus tickets which is awesome since they’ll also be the one who’ll coordinate with the bus company to pick you up from the hostel. 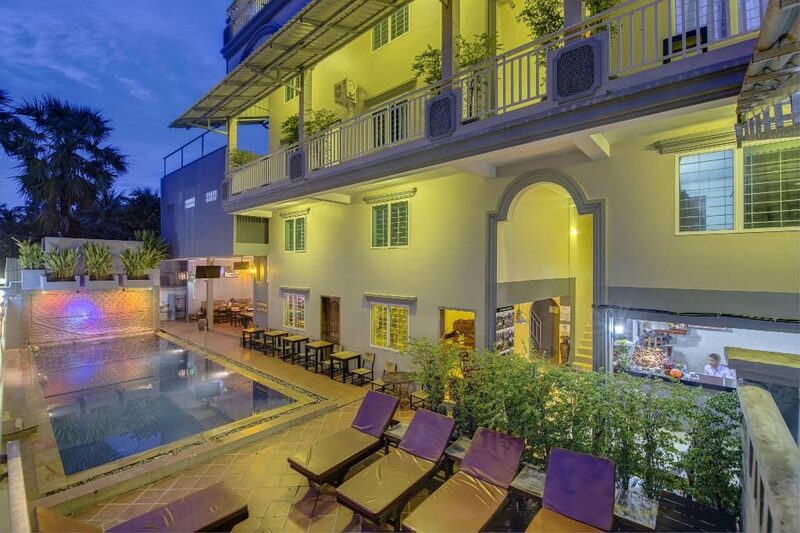 How Much This Siem Reap Hostel Costs? Now here’s the bomb. 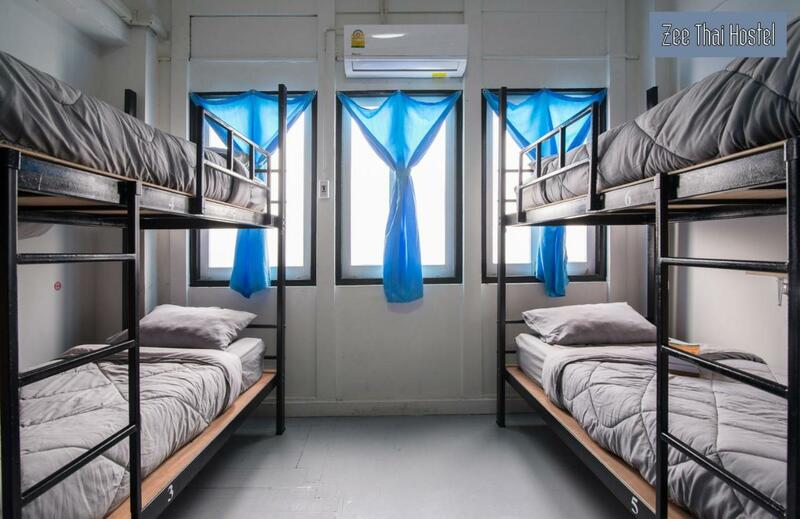 You can get a bed at this hostel for as low as $4 for their non air conditioned dorm, the bed that I got though only costs $6! I mean, I’d be staying with lesser people in a room that is air conditioned. You just can’t over look what value that extra $2 gives you. Yeah that cheap! 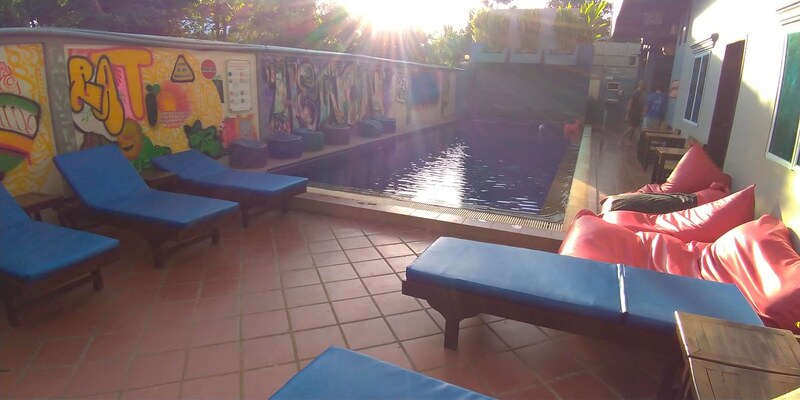 There are other Siem Reap hostels that you can find that has pool but I think the Garden Village Guesthouse and Pool Bar is one of the best there is in Siem Reap. As a backpacker, you know that I am not a big fan of luxury accommodations. So when the opportunity came to experience the hotel at no cost (thanks to my cousin – so pretty 😉 ) I jumped into it right away. The Marina Bay Sands, located in Marina Bay in Singapore, is an integrated resort touted to be the most expensive in the country. The property is not only famous for offering 5 star service. The building it self has become a tourist attraction as its top shows to be shaped as a big ship. While the Marina Bay Sands hotel also has a massive shopping mall and casino. The main draw for non gambling tourists is actually the ship shaped roof deck of the hotel. 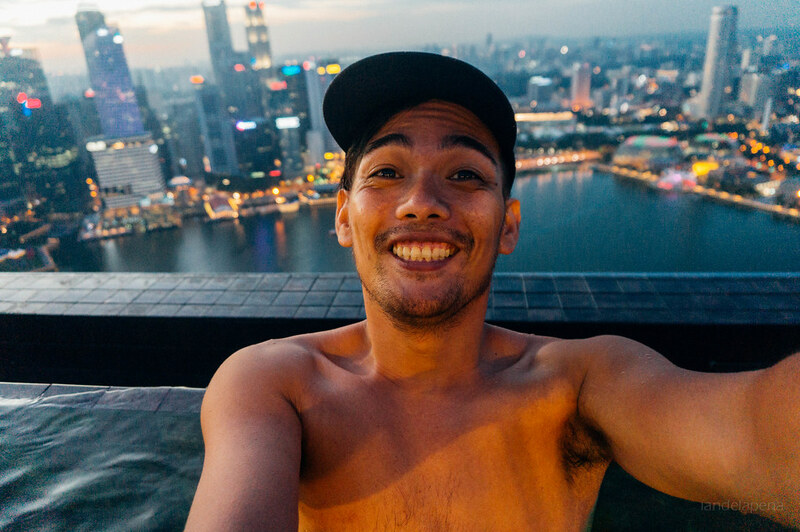 The roof deck allows people see Singapore from a bird’s point of view during the day and a crazy party spot at night. While the viewing deck and the roof deck club is a great spot, people actually check-in in the Marina Bay Sands because of its unbelievably beautiful infinity pool. 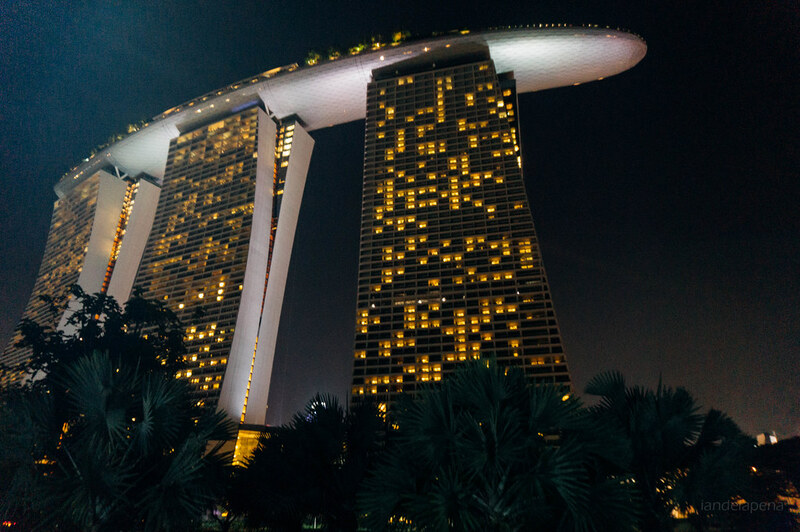 Obviously, the Marina Bay Sands exudes luxury throughout the hotel. The rooms are spacious and offers a great view of either the Gardens by the bay or a gorgeous view of the city. The room that we got at first was the Grand Club Room thinking that it was on the higher floors. The room was spacious at 79 sqm with a stunning view of the Gardens By The Bay. However, since we were looking for a room at the higher floors at tower three we asked to be relocated. Why? Tower three has the access to the Infinity pool and it would be more convenient to access the pool from the higher floors. We made a mistake of booking the Grand Club Room assuming it would be on higher floors. We thought so because it was more expensive, well lesson learned. Thankfully the hotel was easy to deal with. One, if not the biggest draw for people to stay in the Marina Bay Sands is the Infinity Pool. It stands to be the worlds largest rooftop infinity pool there is. Honestly, I never imagined my self seeing this awesome view from the pool. Like I said I am not a fan of paying so much, yet still the rooftop infinity pool was something to experience at least once in a lifetime. Yeah, you can call me lucky. 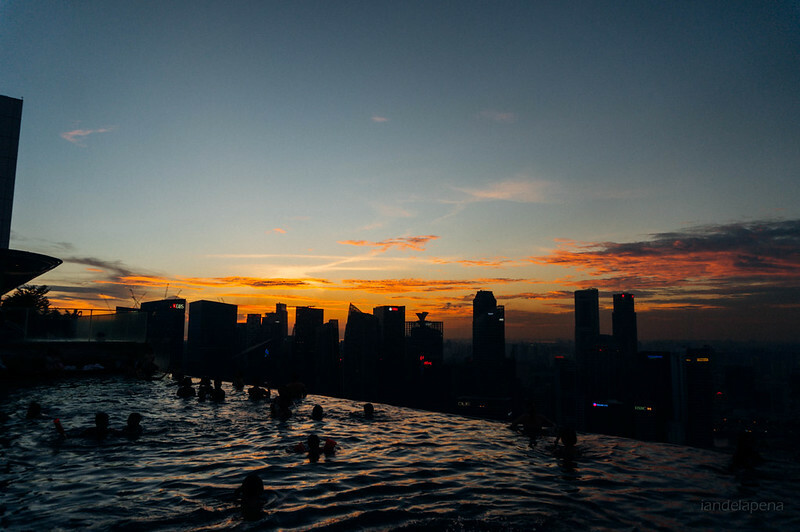 The Infinity pool faces the beautiful Singapore skyline. Since check in time was at 3 PM we only got to catch the sunset and it was beautiful. The pool may be a bit crowded that day since it was a weekend but the view was still mesmerizing. We enjoyed the sun while lounging on the sun beds until sunset. The Marina Bay Sands is very accessible. In fact, it is directly connected to one of the MRT Stations. It’s that convenient! The hotel is also just across the Gardens By The Bay so I just crossed the street and I was there! 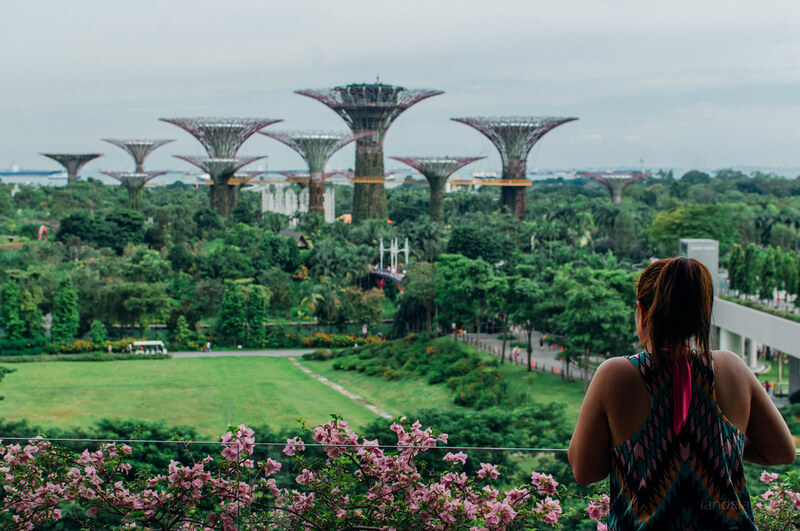 The Merlion and the famous Singapore skyline is also just a short walk away from the hotel passing by the Science Museum and Esplanade and through the iconic Helix Bridge. Thinking that the Marina Bay Sands is one of the most expensive hotels in Singapore, I was quite surprised about their pool. Why? Well, the pool is freaking cold!!! Yep the infinity pool is not heated. I had to brave the cold water on sunset. Your body will eventually adapt, of course but it could have been a way more comfortable if it was heated! Another thing that I felt off about the hotel is when we checked in. Checking-in an expensive hotel should feel classy and sophisticated. But when we checked in at the Marina Bay Sands, it felt like we were in a Mall! The interior felt too stiff that even the high ceilings didn’t compensate the feel that I was looking for. The staff wasn’t actually that bad, but I feel that they could be a bit more polite and warmer. Just saying that I’ve experience better hospitality before. If you can afford it go ahead it is worthwhile experience. Sitting at the roof deck under the Sun in the morning and watching the Sunset at night was awesome. But if you feel that you’d actually spend this into something more and stretch it further I’d say skip it. What I am just trying to say is that do it only if you really like it. I don’t have strong recommendation like it should be a must do, that your Singapore experience will be incomplete without it. But then it would be like a cherry to your icing if you do. If you have around a hundred USD and couple more friends to split the cost with and you want it, go push for it! Help this site by booking this hotel through your booking through this link helps keep this site running. 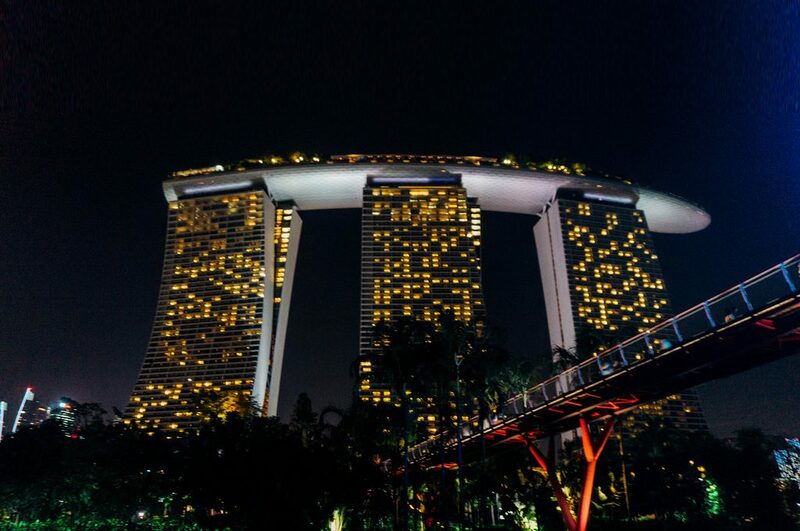 Got a different experience with the Marina Bay Sands? Leave your story at the comment section, let us know! 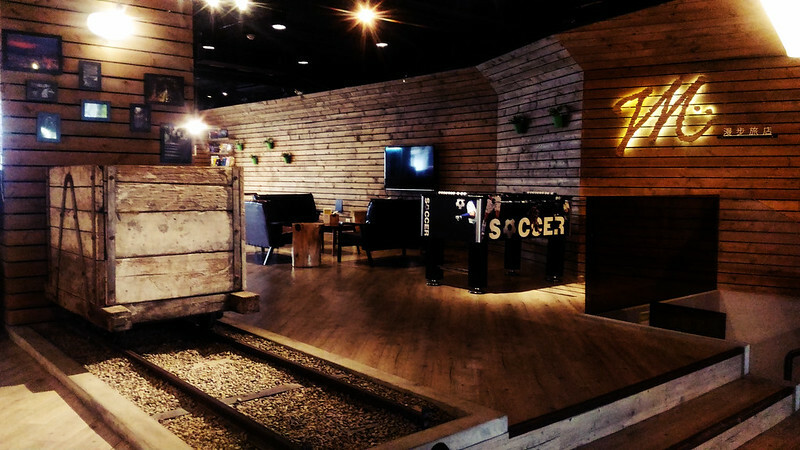 Booking hostels can be bit tricky. Sometimes you see really good photos and ratings but when you just get disappointed when you get to your room. I wanted to have a great experience on my return trip to Taipei which happens to be my birthday trip as well ^_^. 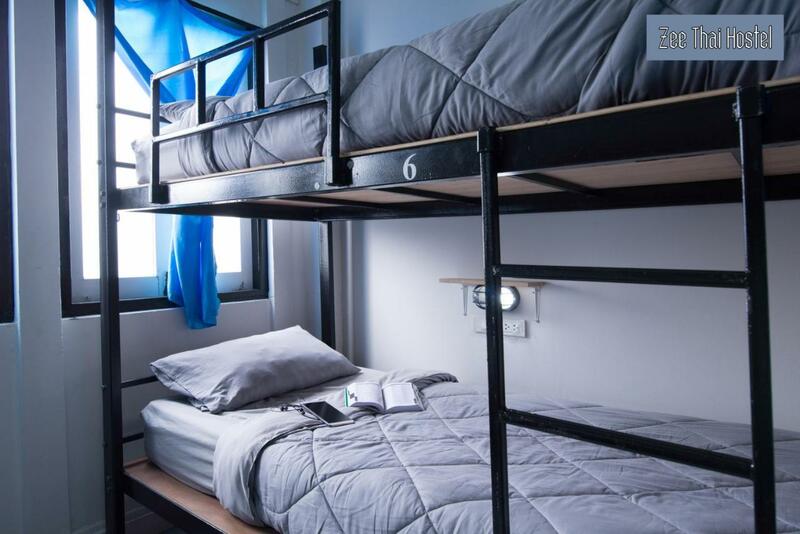 S0 I pulled up and search for Taipei Hostels in Agoda.com, sorted it out starting with the cheapest ones and checked out the ratings. I was surprised finding a high rating property within my price range and yes the rating is true! As soon as I step in I was warmly welcomed by the Meander Taipei Hostel staff, like genuinely warm. I noticed that their lobby offers this wide open common area where every one can interact. As soon as I checked in I was toured around the area by their the wonderful Sarah, she’s just so bubbly I love it. She showed me to the kitchen area where breakfast was being served and just right across it are the viewing area and a huge dining table where everyone can talk while eating.She then introduced me to their events wall. If you don’t have anything planned out when you get here, all you need to do is just check out what is happening on the events board. There’s always something to do everyday! Reception with their cool staff. Not gonna run out of things to do with the events board! You rarely see hostels with good beds real beds, some of them even just use foams and throws in a linen and a pillow and that is it. 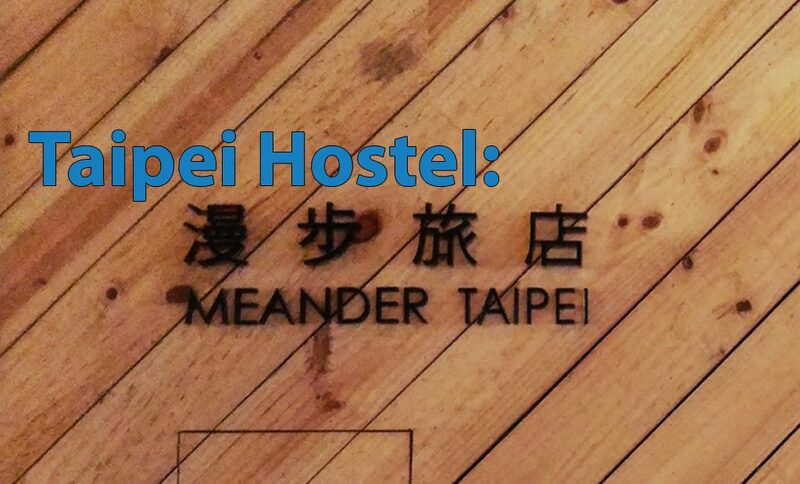 Meander Taipei Hostel actually provides you with real beds, yes the not a futon or a foam but some real mattresses and it sure was comfy sleeping on those. Aside from linens they will also provide you a comforter which is awesome specially that Taipei weather can be a bit chilly at times. The only set back is that you have to bring your own towel, which is I feel isn’t a big thing considering that they offer far more quality than most hostels. 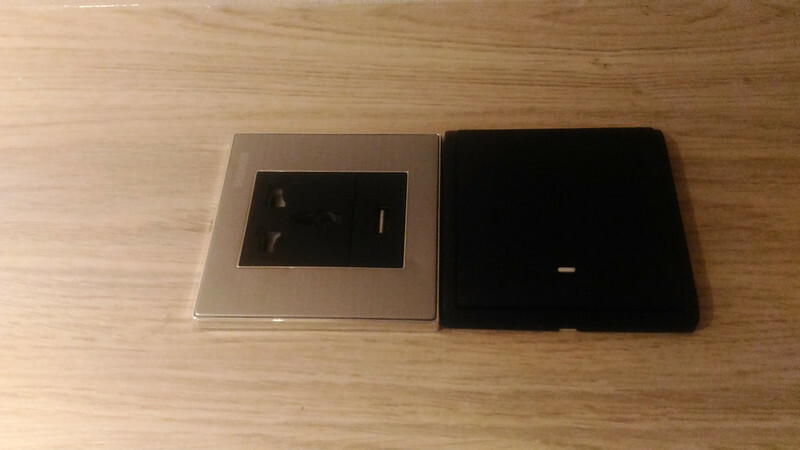 Your own socket, USB charging dock and light in your capsule! They have about 188 beds where 28 of them are private rooms while the rest are dorm rooms. 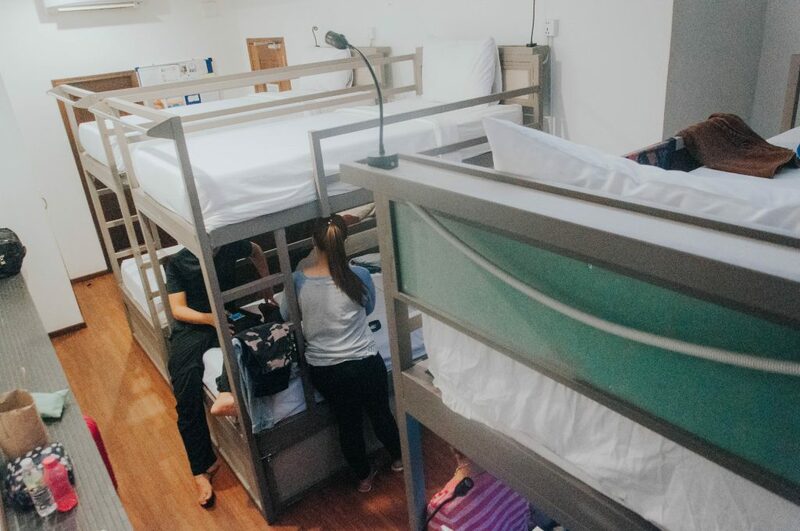 It is also notable that they don’t put more than ten beds in a single dorm so it doesn’t get too crowded. WiFi is also excellent ideal for Digital Nomads who take their work with them to where they go. 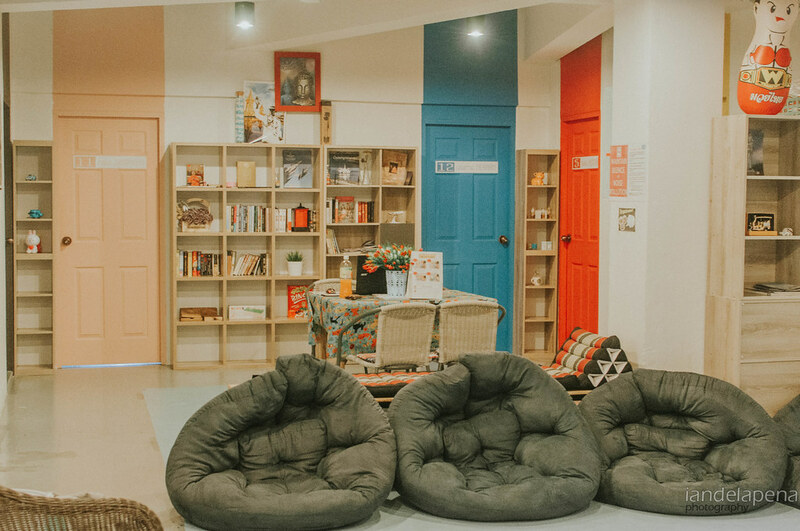 The hostel has this youthful vibe that makes you just want to hang out in the common area and chill out with other travelers. They also have a culturally diverse staff allowing them to support most major languages if you don’t speak English really well. 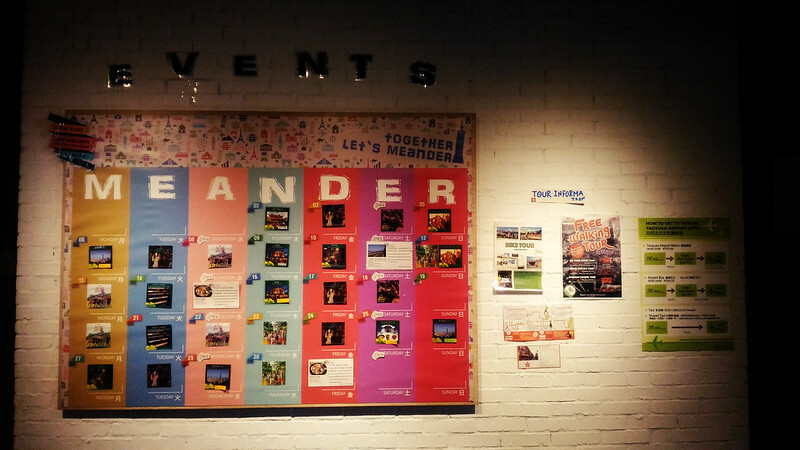 Meander Taipei Hostel is located about 500 meters from the Ximen MRT station where you can find lots of stores and food shop. You can just walk around and enjoy the local events and have a good time without getting far from the hostel. But if it is just breakfast to startup your day is what you are looking for, there’s not even a need to get out of the hostel. 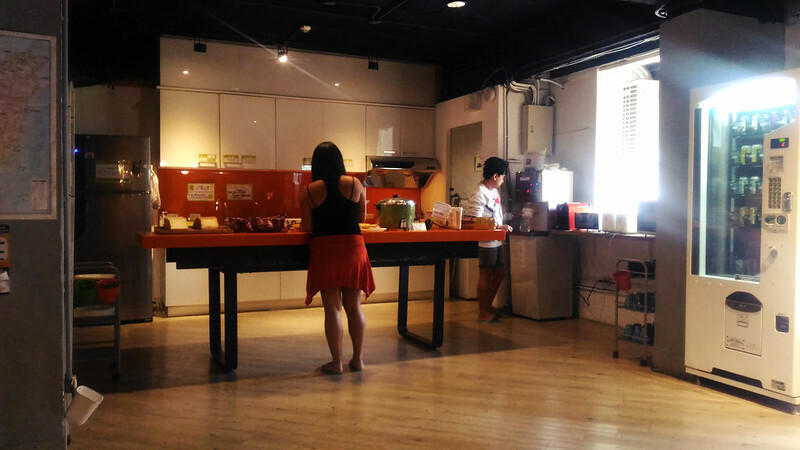 Your booking with Meander Taipei Hostel includes breakfast which is served at the kitchen area from about 7 am till past 10 am. 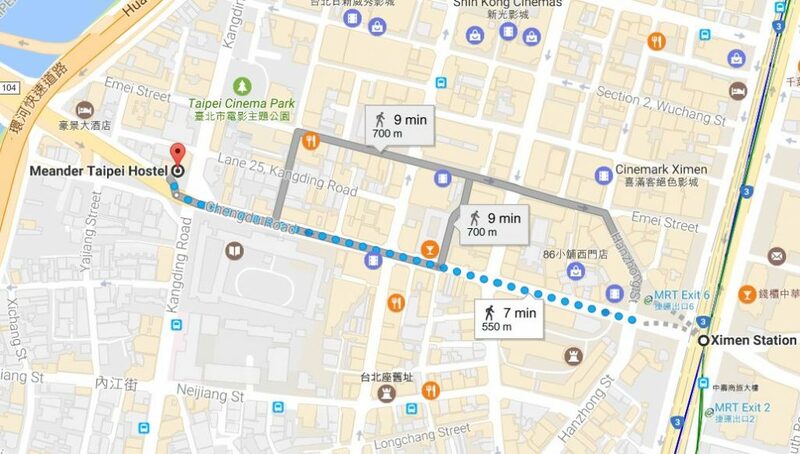 From Ximen MRT station just walk straight west through Chengdu road for about 500 meters.